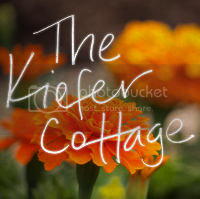 The Kiefer Cottage: Landing, sitting room, or what? Our house originally had two small bedrooms downstairs and something kind of undefined upstairs. I'm not sure if it was used as a bedroom or an attic, but I'm guessing that one portion of the 2nd floor was finished, if not when the house was built in 1940, then pretty early on in its life. Then sometime later, there was an addition that vastly expanded the master bedroom, as you'll see in some later post when I've finally cracked that whip and gotten Ryan to clean up. Notice that we haven't quite figured out what to do with this room. It is merely a hallway into the master bedroom. For now. The stairs are extremely steep and are certainly not up to code. See wood finish #427. Seriously, none of the wood in this house even remotely matches. It's not even so bad it's good. It's just bad. And the floor up here is not in great shape. There's evidence of some last minute repair and paint all over this house, and I think they didn't even bother with drop cloths. We're thinking of painting the floor up here. Or if I can booze Ryan up enough, maybe "we" (read: he) will refinish it. Or even better, we'll put in wall-to-wall brown shag carpet! On the walls, too! Someone stop me, I'm on a roll. Anyway, I should tell you that this house has no linen closet. But it does have this interesting built-in at the top of the stairs. And the previous owners used it for...guess what? linens. How do I know this? Carroll (aforementioned previous owner) or his wife Ella labeled the drawers, and the heirs were kind enough to leave the labels. In case we didn't know what to do with the storage, I'm assuming. Thanks, y'all! Interestingly, we found similar labels in the kitchen. But aside from these windows into Ella's detail-oriented nature (thank you, Carroll and Ella, for having the AC serviced every 6 months and documenting it religiously. That thing, despite its age, is in great shape and kept us cool when it was 109 a couple of weeks ago! ), we also discovered some cool treasures. Take a look at the lower left. This card is about as old as I am. I have done some research on Carroll--I'll post later on that--but I want to say that I feel honored to live in his house. And this Barbie pamphlet is a helluva lot older! What a fun find! Three or four of these were lying around, too. Not sure what ate this piece of paper (is it a check?? ), but the pest guy did find other evidence of critters in the house. I'm hoping said critters have found new homes. Or if they're still around, I wish they'd make me a dress and sing a few songs. Preferably at the same time. So the next step is making this room gorgeous. We'll start by painting the built-in. Updates to come. That is too fun. I love all of the things you found. I felt like I was watching an episode of "If Walls Could Talk." It's a crazy space, but it will be fun figuring out what to do with it. 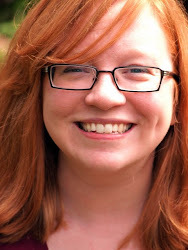 Oh, and thank you for your sweet comment on my guest post on Type A! Starr - how talented you are .... I have had the pleasure of selling houses to MANY people over the last 25 years ... now I'll get the pleasure of following your progress, taking a house and making it your home!! !